Whether remembering Christmas of old, or the excitement of Christmas to come, our Home for the Holidays Collection is the perfect assortment to inspire your seasonal memories and projects. With a splash of nostalgia and a twist of Doodlebug charm, we bring you an array of holiday papers and accents that even Santa would approve. 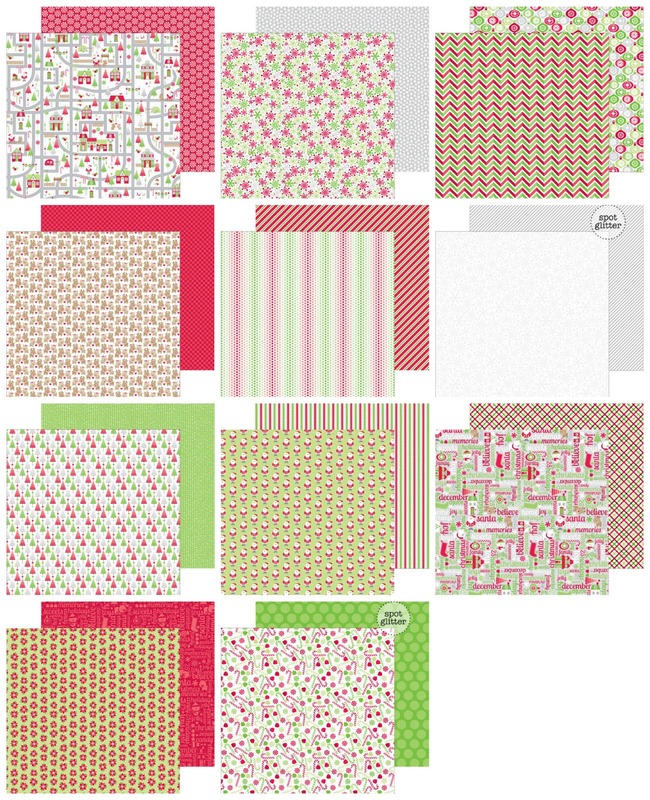 In classes shades of red & green, this collection will truly evoke the spirit and tradition of being home for the holidays. Plus we're giving you the chance to win a sample box of the Home for the Holidays Collection when it starts shipping to retailers, simply scroll down to the end of this post to learn how you can Win it Before you Buy It! The perfect final embellishment for any paper crafting projects! that coordinate with the Home for the Holidays Collection. Perfect for scrapbook pages, greeting cards, cupcakes, cake pops & more, these brilliantly colored picks come in all your favorite Doodlebug shades. In packs of 50 single colored picks and multi-colored assortment packs to match each collection. 1. Pin one (or all) of the images you like about this collection to Pinterest. 3. 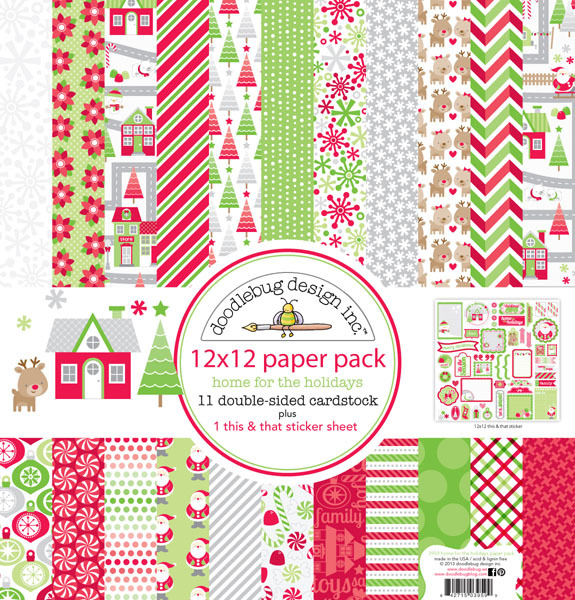 Share a link to this blog post on your Facebook letting people know about the new Home for the Holidays Collection by Doodlebug. 4. Tell us which new product you cannot wait to use for paper crafting. 5. We'd love to know where you are visiting us from...leave a comment sharing where you live! You will have until Saturday, July 20, 2013 at 12:00noon to enter. Winner will be announced on the blog on Monday 7/22. Oh, there is so much to love about this collection ,the picks and bows have so many possibilities. Love it all. I can't wait to use the six by six and some of those adorable stickers to make Christmas cards! I think your Santa and those reindeer are just adorable but the most favorite part of this collection is your shade of red and green that was used in it. I see many Christmas cards! I do love to see your Christmas collection every year, and you always deliver with your fun, cute designs! I can't live without any of it lol but I do love the papers! I live in Chicago IL! Adorable!! Loving the traditional colour scheme!! Oh my gosh, I am in heaven!! I really LOVE all the new releases but this one really hits home!! I just LOVE Christmas!! I must have everything in this collection, I better start saving up!! I have pinned this on my Pinterest Wish List Board!! I love this collection. My favorite items are the Doodads and washi tape, love the colors. Shared on Facebook. 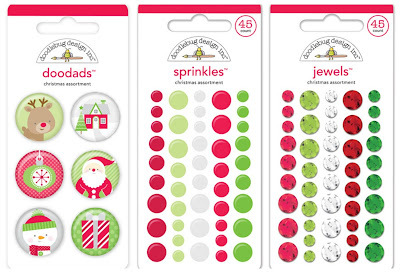 I love the embellies, especially the Sprinkles and the washi tape! Shared A Bunch Of Stuff On Pinterest! I Can't Wait To Use The Adorable Reindeer Doodle pops! I'm A Big Fan From Knoxville, Tennessee! I want to use the picks. I like the colors and how everything coordinates together. Thanks for another great collection. I love the fun city print paper. The fun washi is a must for present wrapping! I am from MN! Love your products! I love the stickers, especially the This&That ones. ty ty so very i pined i fb i tweeted it to i love win anything u happy send me i make cards and enjoy i make 4 to 5 every week, when make cards make them for few in nurseinghome or just home bound or the just need akind word brightern others life even if the dont know who there i might enjoy a card for few mins so i send out 3 differ ladys in nurseing home and my son lives out state so i send him card ever week then i have her hubby fighting cancer so i try send themto help get thur this hard part . ppl need cards the need know there loved and u praying for me the need to know there no alone . i get no money for doingthis but it makes me be free good i am almost home bound so this way i do something nice for others i love christmas so very much i love to get make christmas cards anyof u know any one who need card to help them or the need christmas just let me happy to addthem to my list out of the usa hard get mail here but if in usa happy do this for any of u i not a great card maker but i having fun . I love the bows! Can't wait to get my hands on the paper! 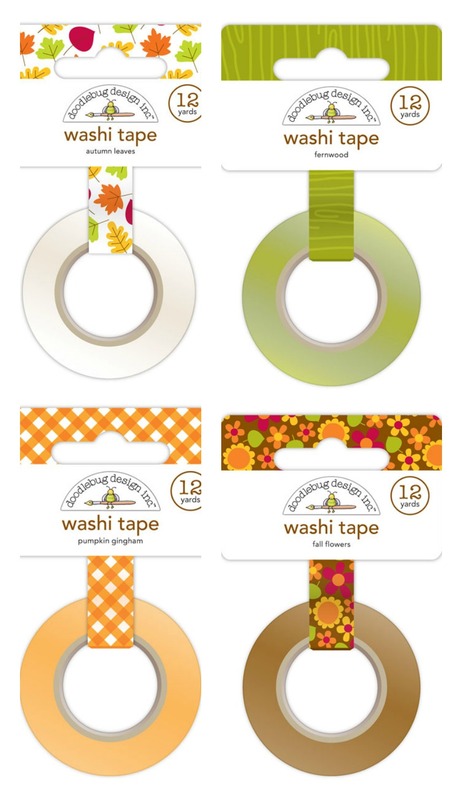 Such cute designs and gotta have that washi tape! I've pinned...I've shared on Instagram and I really really really need those cute bows!!! I pinned the bows, the simply put and washi tape!! I could have pinned it all.....so adorable! Oops....forgot to mention I am from IL! Love the reindeer doodle pops. Love this collection. I am from Massachusetts. Shared the collection on facebook and pinned to pinterest. So did 1,3,4 and 5 thanks for the chances to win! I've shared a pic on Instagram. I pinned most of the pictures. I can't wait to use the washi tape. I love the designs. I am in Provo, UT, USA. From South Dakota!! Iv've shared, pinned and can not wait to use the doodads, sprinkles, jewels and the pops, and the paper...heck - ALL of it! I have done 1-5! It came as anonymous.....this is better! 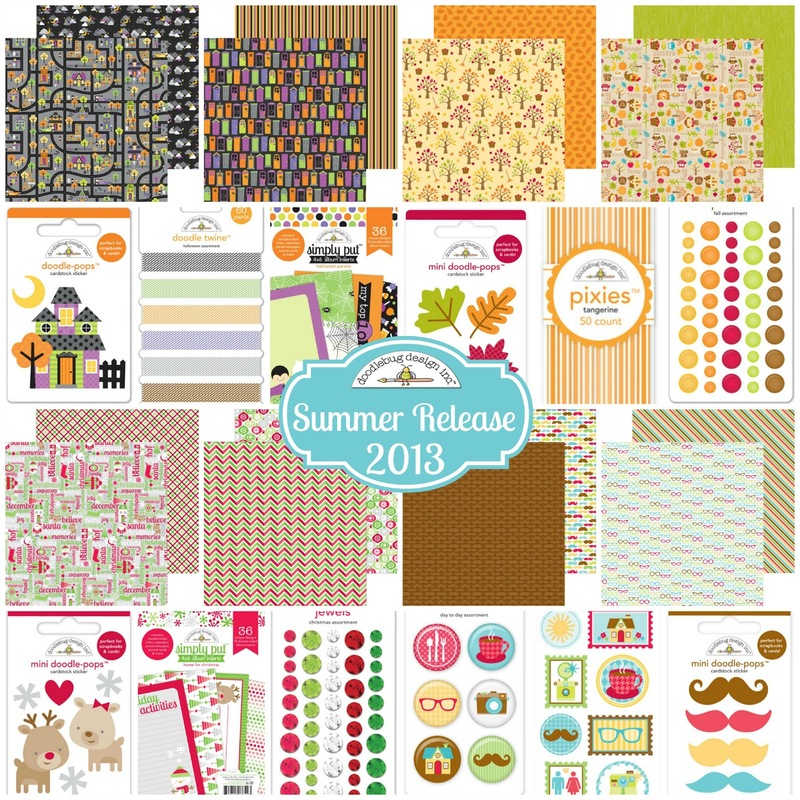 another great cute collection, I love the tags and the 12x12 paper. I'm from Bonnyville Alberta Canada, I've shared, pinned and cannot wait for these collections to come out. . .i have no patience so hopefully they come soon so i can start creating!!!!! This is the cutest Christmas line ever. 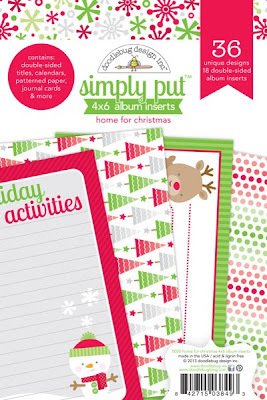 It is a must have for all my scrapping, card making and gift giving this holiday season. Thanks for the chance to win. Wonderful collection! 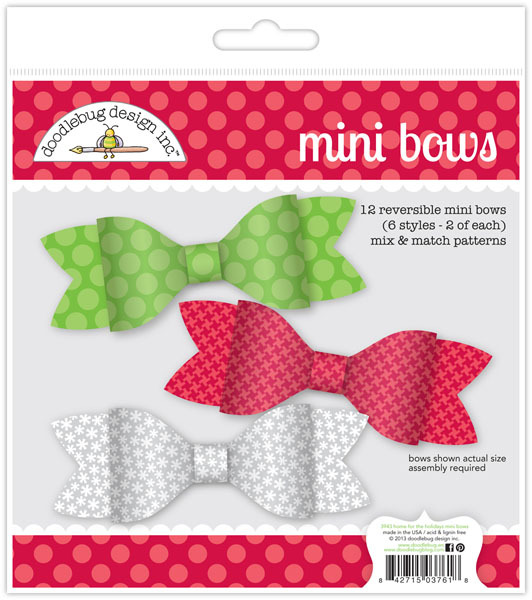 Loving the Doodads and mini bows! Just shared on my FB page! Thanks again! You guys make the best papers. Love the patterns and colors of this collection. Must have this!! OMG!! Love, love, love!! So Doodlebug and so me!!! I live in the Houston Texas area. I pinned several items from this collection! I'm in Southern Illinois - where it is hot and humid today. Love it! The colors and themes are so perfectly Doodlebug! This is such a happy Christmas collection, perfect for scrapping the kiddos! I am especially loving the papers and the inclusion of silver/gray in the color scheme! Love the bows and Santa . 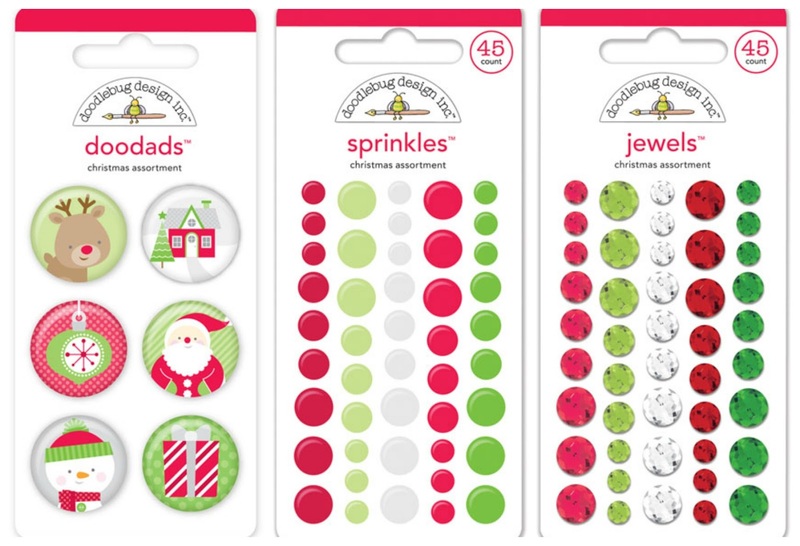 The sprinkles, doodads and jewels are my favorite but I love it all! Well I am from Orem and love it!! 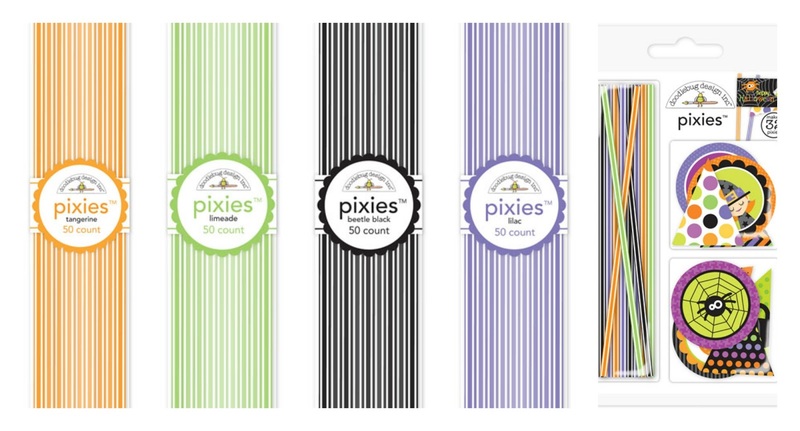 The things I cannot wait to own and papercraft with are the mini bows, the doodads, and the pixies!! Pinned and shared. I can't wait to get my hands on the mini bows and doodle pops!! The whole collection is so cute!! I can't wait to get my hands on the mini bows and doodle pops!! The whole collection is so cute!! I CANNOT wait to use those mini bows! Another great line! I love the road patterned paper in each line, very cute! Lots of fun embellishments to play with as well! If I don't win I' m sure going to go broke buying it all! Thanks for being so generous! I shared your link on Facebook! Under the same name. WOW!! SOOO Many new products!! Awesome!! I pinned several of my favs to my Pinterest board titled Christmas...now I've got that song stuck in my head...it's July and I'm humming Christmas music! ;) thanks a lot! I shared your photo on Instagram! Do you have an Instagram account? I wish you did...Facebook is so last season! Love the bows and the new sprinkle washi tape!! Pinned the bows on pintrest. So cute! Love the washi tape and the papers too I'm a paper hoarder!! I love EVERYTHING, but those bows and ombre trees are calling out to me! I am visiting from Austin, Texas! 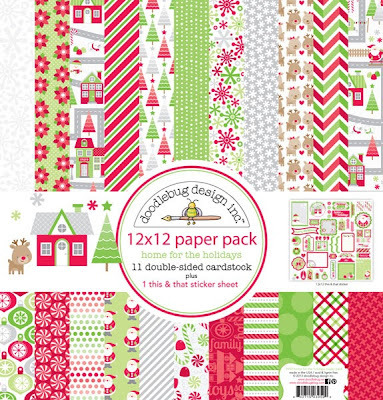 I am addicted to te 6x6 papers, all the stickers (this & that, quotes, frills, etc. )and the mini-bows and pop's! Love your designs and can't wait to use it all! such a sweet new collection! love the little characters and mini bows! from Dayton, OH woot woot! Love the mini bows,very cute. So many new things. The picks interest me. Paper is always important for my greeting cards. Love the whole collection. 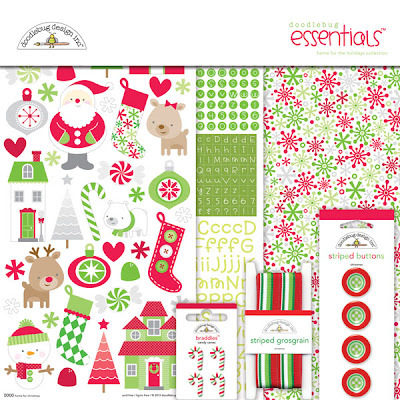 Oh I love the little reindeer, polar bear and snowflake images in your paper collections! Such bright happy colors too! I'm checking in from beautiful, but extremely hot today, Chicago! I love everything but the reindeer images are my favorite. I have to have them! I can't to get my hands on this paper! I'm posting from Fruit Heights, Utah. These creatures are so cute, especially the little bear. This is such a fun collection! I'm loving all of the embellishments. This is such a great collection. Simple, graphic with lots of POW!! 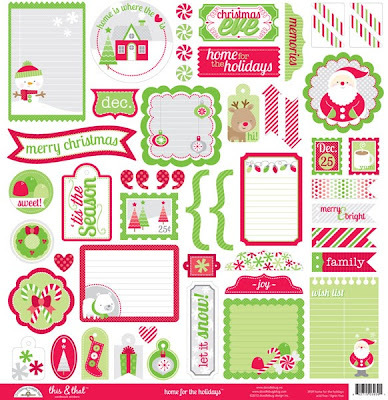 Love those Home for the Holiday stickers for sure!!! I pinned to my board - churchmedialady. I can't wait for the 4 x 6 inserts so I can do some journaling!! I scrapbook from the Pinson, AL area which is near Birmingham. 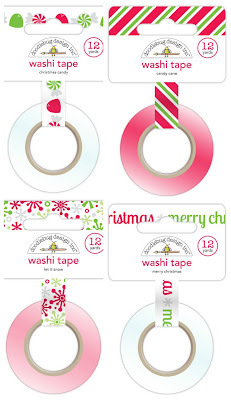 I cant wait to use the washi tapes! Great collection! Can't wait to get the washi tapes! Pinned. 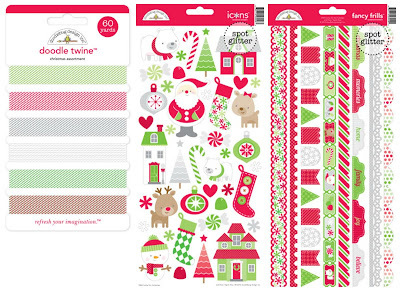 This collection will be great for holiday crafting. Love the snowflake washi! Love the paper and the washi tape. 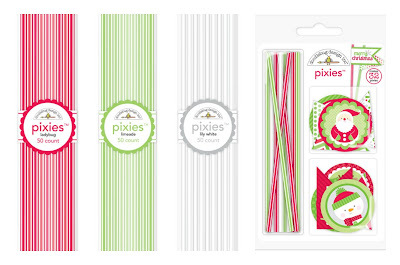 I pinned them, can't wait to use the pixies. Posted on facebook and I'm from Shelby Ohio. I absolutely love the reindeers! They are adorable! I also love the washi tape! I cannot wait until these products hit stores! I am from Palm Coast, Florida. I just pinned 5 products to my Pinterest board "Products I love"
What do I love?? What don't I love? 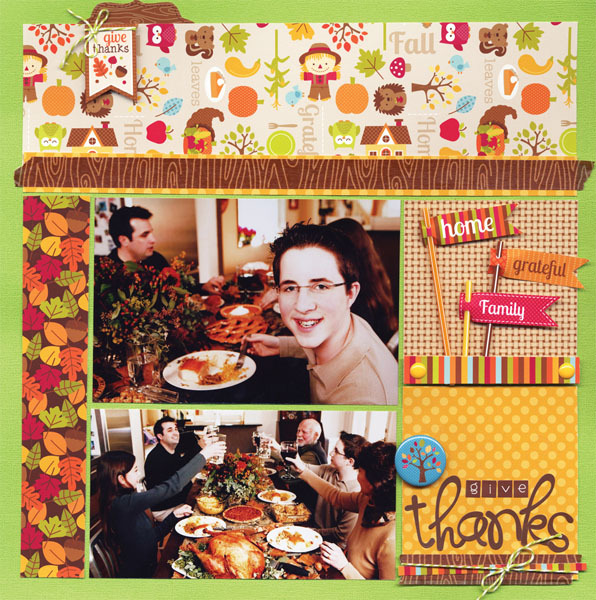 Seriously I love it all -- the washi, the paper, the colors, the Sprinkle, the Do-Dads. Gorgeous collection. Lovin' those cute reindeer. And of course it goes without saying that the washi tape is a must. I shared on facebook and added the #doodlebugdesign hashtag , tweeted on Twitter, pinned almost all of the collection on Pinterest with ideas for use of each, and shared with my google group. I love the stickers that I could decorate the envelopes of the Holiday cards that I make, but then I would want the paper to make the cards from, and some washi tape or twine to use on the cards, and of course I would need sparkle with some bling! Which came first, the envelope or the card?? Lets start with some paper and I can make both the envelope and the card out of it :) Hoping to win, from Pittsburgh, Pennsylvania ! Those are are adorable embellies--love the Santa and reindeer! 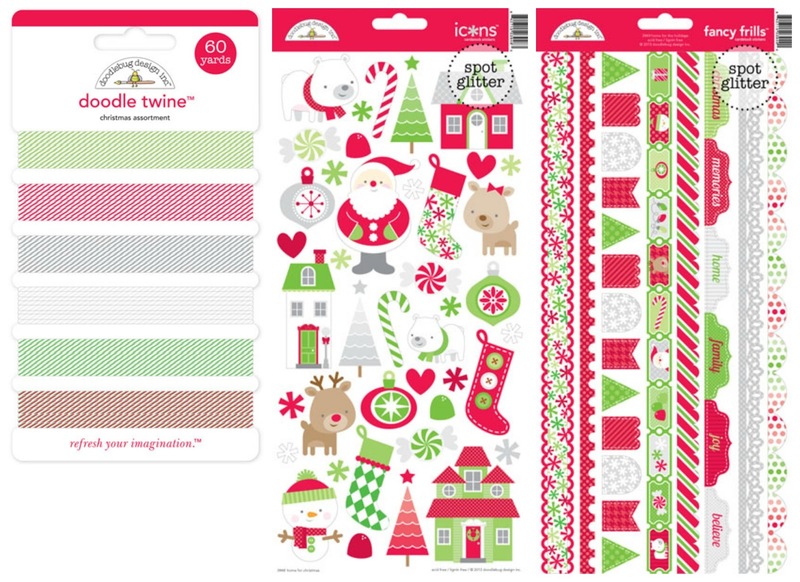 This is perfect for Christmas crafts! I love the washi tape and tin pins. Love, love, love the mini bows! I love all of the Fall items! 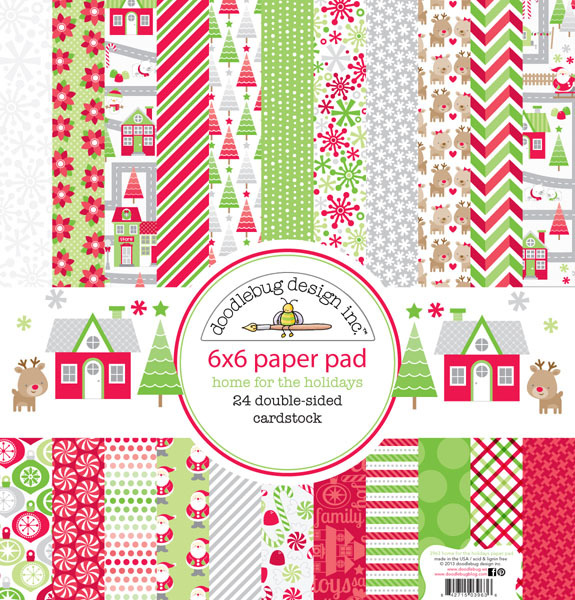 I love it all, but especially the pattern paper! Visiting you from Washington DC! Adorable! I love the colors here!! And I can't wait to play with the washi!! I love the doodle pops! So cute! And I'm visiting from Louisiana! The reindeer paper is killing me! So cute! I live in the Denver, CO area. oh-I love those cute little bows!!! 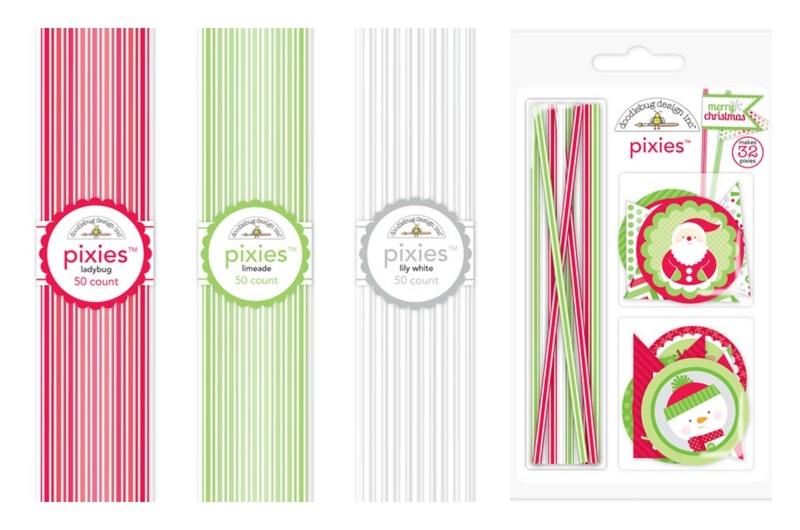 I think I'll be using the pixies for Christmas giveaways. Doesn't have to be food related but it can be a cute embellishment for a Christmas giveaway. Not to forget the washi tape. I just love Washi tapes! The cute little chubby Rudolphs are so awesome! Love this collection as all others! Thanks 4 the chance! I am from a Northern Suburb of Minneapolis MN. Thanks 4 the chance! Just adorable!! Planning my Christmas photos to match this collection as a type. Cant wait to use the doodle-pops and doodads and sprinkles.